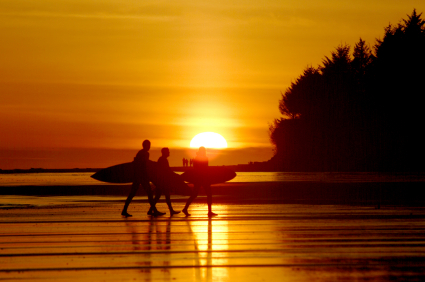 Magically situated on the Pacific Rim, Tofino BC reigns as the secluded jewel of coastal Vancouver Island. With a population of just 2,000 and some of the most beautiful and diverse ecology, it is no wonder why Tofino attracts people from around the globe, year after year. The mesmerizing contrast of nature and solitude combined with luxury spa resorts is just one of the reasons why this town is a destination sought after by many. 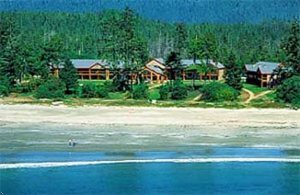 In fact, Tofino is so popular that, if planning on visiting during the summer months, we suggest you book your reservations well ahead of time. In addition to the breathtaking scenery, Tofino also offers a wide range of outdoor activities, including fishing, kayaking, whale watching, bear watching, bird watching, camping, hiking, and storm watching. Surfing is also big here, so make sure to bring your wetsuit! Tofino is one of the top destinations for outdoor enthusiasts across the globe, and for good reason. The shallow waters of Clayoquot Sound are ideal for a leisurely kayak around the shoreline, giving you a stunning view of the shore and town itself. There are also numerous trail systems that are perfect for anyone looking to get out and explore the area’s landscape on two feet, or by mountain bike. Be sure and visit the natural hot springs, relax and rejuvenate in one the city’s several spas, or take in a yoga class followed by a massage, facial, and manicure/pedicure combo. Looking for something a little different to see on your holiday? Then make sure you check out the ecologically educational environment of the UNESCO Biosphere Reserve, located in Clayoquot Sound. This is the first designated land of its kind in BC, geared to create sustainable, ecologically viable communities. The Tofino Botanical Gardens are a great way to get a firsthand look at all the stunning flora and fauna that can be found on Vancouver Island. The interconnected walkways take you through the 12 acres of the Tofino Botanical Gardens’ floral gardens, forest, and unforgettable shoreline. One of Canada’s most prized national parks, the Pacific Rim National Park offer the incredible change to check out the area’s most unsullied lands through way of the nature reserves. Take in the pristine island air and embrace the chance to be far from any crowded highways or city streets. If you love checking out a new city’s art scene, Tofino won’t disappoint. There are numerous art galleries throughout the city, many of which highlight the history and culture of the First Nations people. You can expect to see tribal carvings and weavings as you walk along the streets and pop into different galleries and shops. The 1960s were a booming decade for Tofino, as the city saw an influx of artists working on all different mediums. To this day you will find painters, sculptors, glass artists, and photographers all proudly displaying and selling their work throughout the town. While it is true that Tofino is known for its natural landscape, luxurious resorts, and great arts scene, it happens to retain its rustic, friendly, down-to-earth charm at the same time. This is particularly evident in the town’s dining scene – as you can count on sampling on the excellent, fresh seafood with an indigenous feel. There are several different cafes, coffee shops, and restaurants that serve up everything from pizza and burgers to sushi and burritos. If you are looking for a fine dining experience, there are a handful of luxurious resort dining rooms known for feeding your soul as well with amazing views of the Pacific. Not surprisingly for this beautiful coastal town, Tofino has many festivals that take place throughout the year. If you’re thinking about visiting in March, be sure and check out the Pacific Rim Whale Festival, where you can actually watch the Gray Whale migration, as they hug the Tofino shoreline. Another great festival is the Tofino Food & Wine Festival, which features local restaurants and wineries putting out a feast that is undoubtedly a foodie’s paradise. 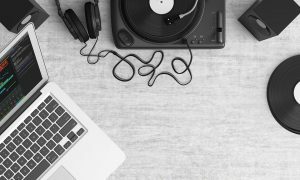 The Pacific Rim Summer fills the town with diverse music, dance, and theatrical performances – including jazz, blues, and rock numbers. Be sure to check the calendar for these festivals before you book your trip. Regardless of when you visit Tofino, BC, you will be greeted with a friendly smile and plenty of ways to fill your day!